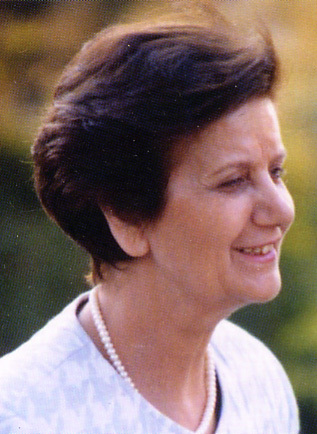 LOUCINE ZEITOUNTSIAN was born in Aleppo, where she received her education and went on to dedicate herself to teaching. She taught at the Armenian General Benevolent Union (AGBU) Lazar Najarian - CalousteGulbenkianSchool, MarashMesrobianSchool, and Ki-likianSchool, all in Aleppo. From an early age, she served as a member of the AGBU, the Compatriotic Union of Marash. and the Board of the AGBU-AYO Bedros Atamian Theat­rical Group. Zeitountsian is an accomplished actress, with her credits including several stage performances. She received a silver medal for her 25-year service to the Bedros Atamian Theatrical Group. Zeitountsian has also sung for many years with Aleppo's AGBU Sbentia-rian Choir. For 25 years, Zeitountsian chaired the Women's Auxiliary of the Kermanig-Vasburagan Cultural Union of the Compatriotic Union of Marash, in Aleppo. During her tenure, she organized numerous exhibitions of Armenian embroidery, and, in particular, traditional Ar­menian costumes. The Compatriotic Union of Marash has recognized her pioneering work by awarding her its gold medal. As a member of the Women's Auxiliary of the Consulate of the Republic of Armenia in Aleppo, Zeitountsian has helped organize several cultural exhibitions at the Consulate.